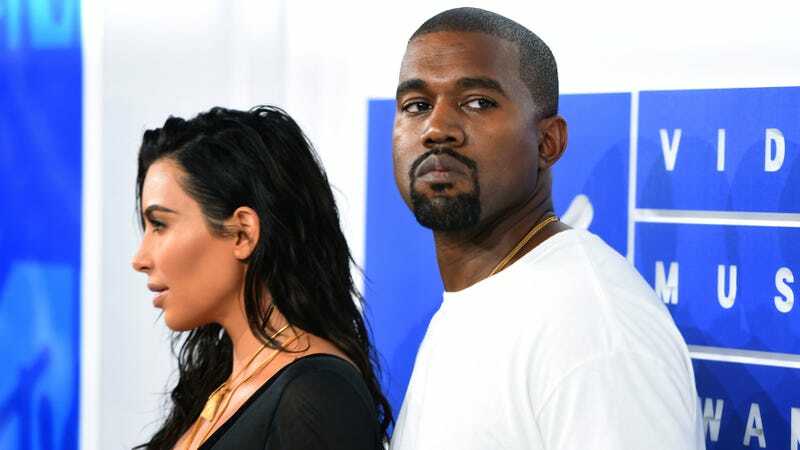 Kim Kardashian West, mother of Saint and North, has announced the name of her third child, a girl baby born via surrogate on January 15. Are you ready? The name, announced via Kim’s website, is Chicago. Chicago West, after the hometown of Kanye, and also, as Jezebel’s own Clover Hope noted, a character in Poetic Justice. A nice homage to the city that raised Kanye and perhaps solid proof that his role as creative director of Kim’s life means that Kim is no longer in charge of her own life in any way other than the superficial! ITS A BABY. Via Kimkardashianwest.com. As a name, Chicago is fine. We live in a world where babies are named after wall decorations, fruit, and colors that are millennial pink adjacent. The issue is not the baby’s name, but the complete and total disregard for Kim’s creative agency is! Recall, if you will, the episode of Keeping Up With the Kardashians in which Kanye systematically removes everything he finds offensive from Kim’s wardrobe, stripping it of its fur and its glitz and its spangle, leaving nary a bandage dress or a furry handbag in sight. It’s her perogative to do whatever, man, but now she eschews color in favor of white biker shorts and dun-colored hoodies. Does she miss her old wardrobe? Does she miss her old life? That is neither here nor there; what is relevant is the baby. Chicago West, the baby. Yay, Chicago. Good luck with North and Saint.